4D3N from SGD 1578 / person ONLY! 5D4N from SGD 2136 / person ONLY! 4D3N from SGD 1878 / person ONLY! 5D4N from SGD 2536 / person ONLY! Complimentary cold towel and welcome drink on arrival. 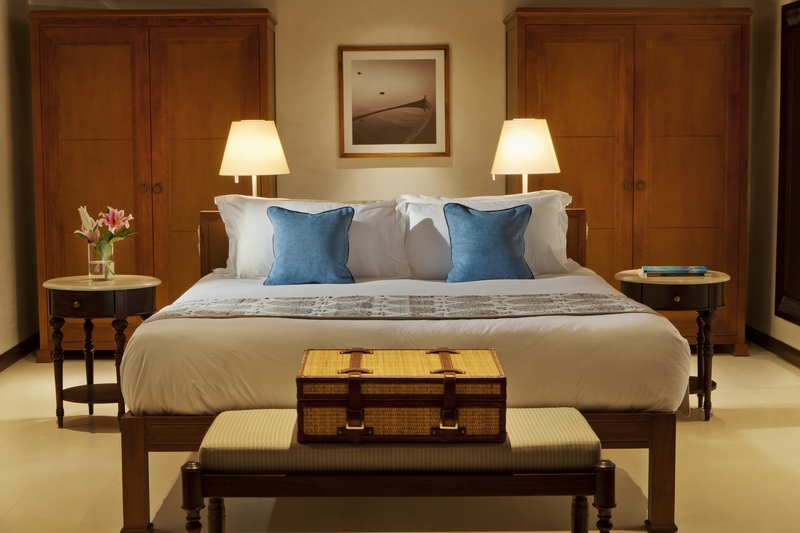 Unpacking and packing services offered by the Butler – available on request. 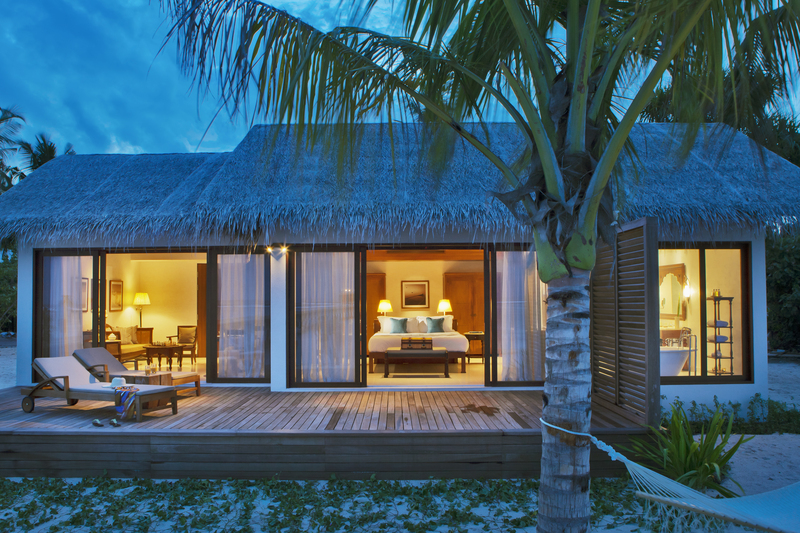 Complimentary access to the common beach pool – comfortable sun lounges & towels are provided. Complimentary scheduled transfer by buggy to assist in-house guests around the island. Bicycles are also available on request. Complimentary use of gymnasium with sauna facilities. 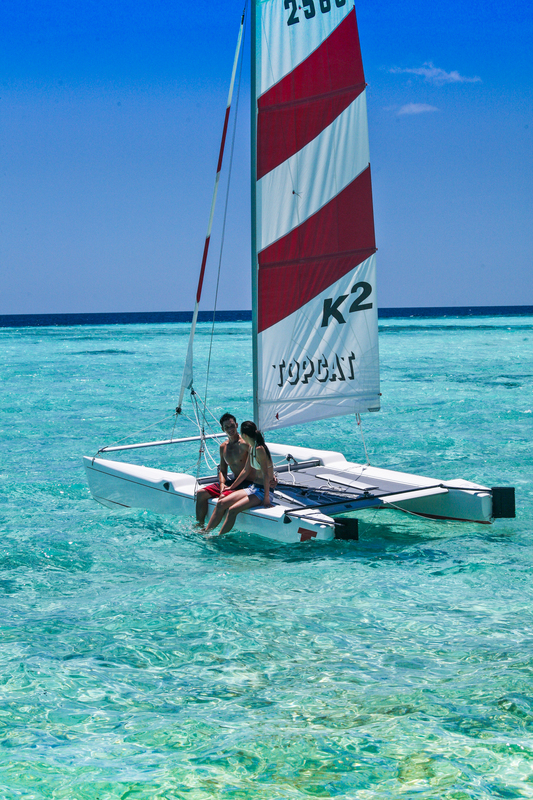 Complimentary use of non-motorized water sports equipment (excludes lessons): sailing, kayaking, windsurfing and snorkelling. 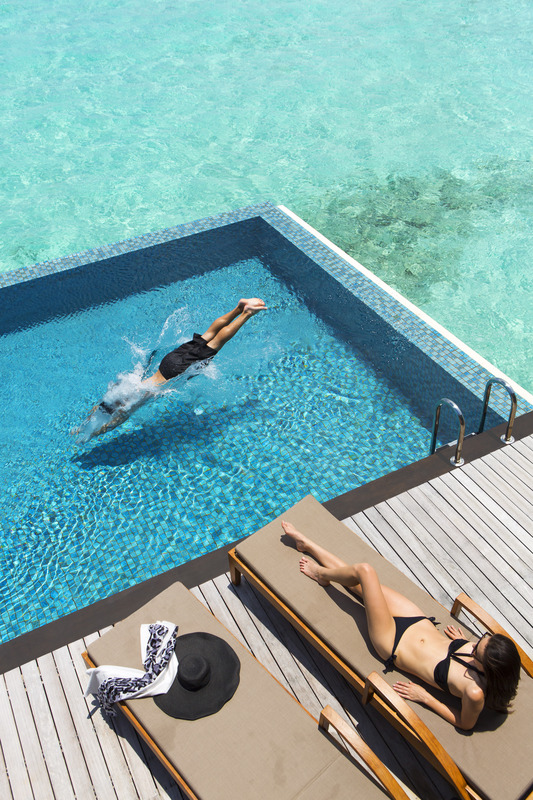 A world away from the mundane, The Residence Maldives creates the time and space for you to rediscover the meaning of relaxation, well taken care of by our attentive yet discreet hospitality. Comes with your very own private pool! 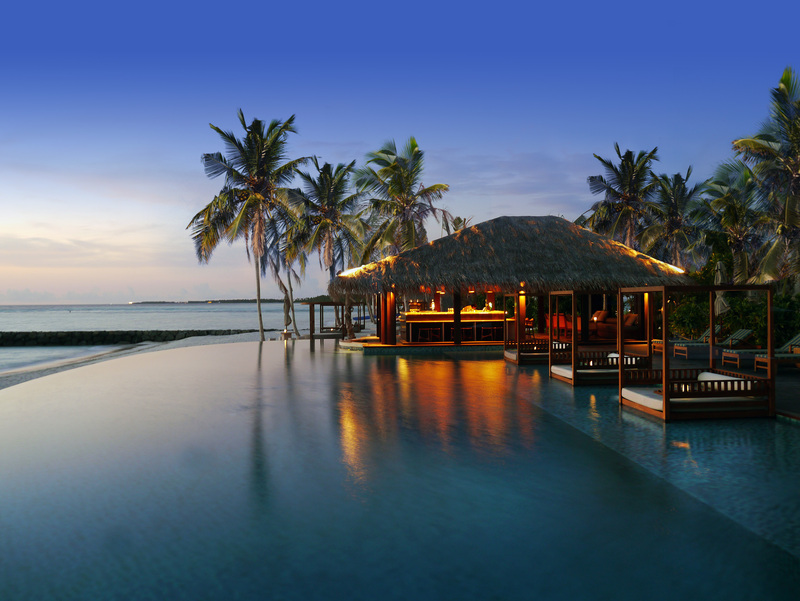 Get into the island spirit at The Beach Bar, overlooking the beach and partially submerged in the swimming pool. 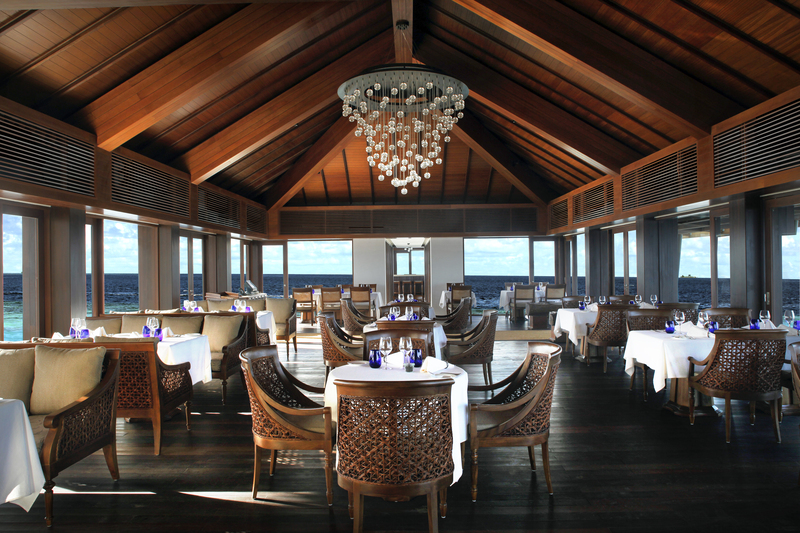 Refresh here with light meals and island-style drinks during the day, and tapas and signature infused spirits when the sun goes down. 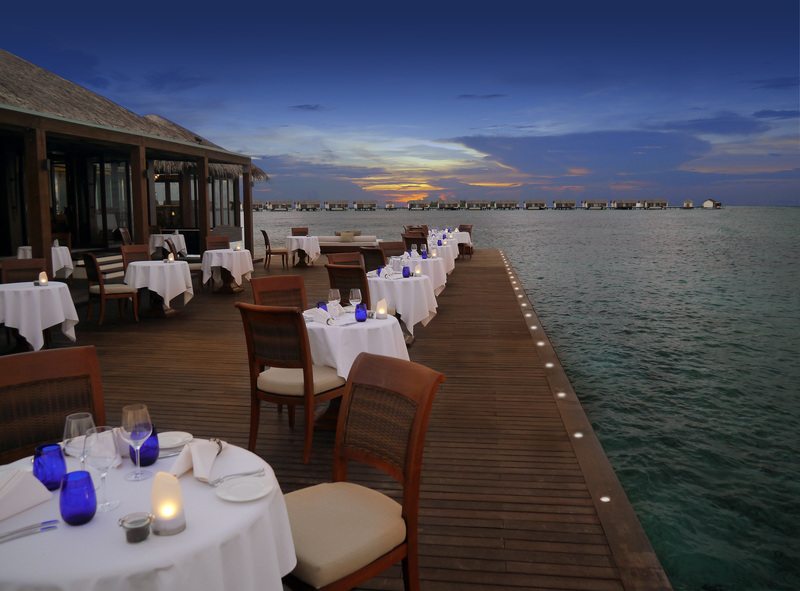 The Maldives is tailor-made for romance, made all the more special by a variety of private dining experiences crafted by a personal chef. 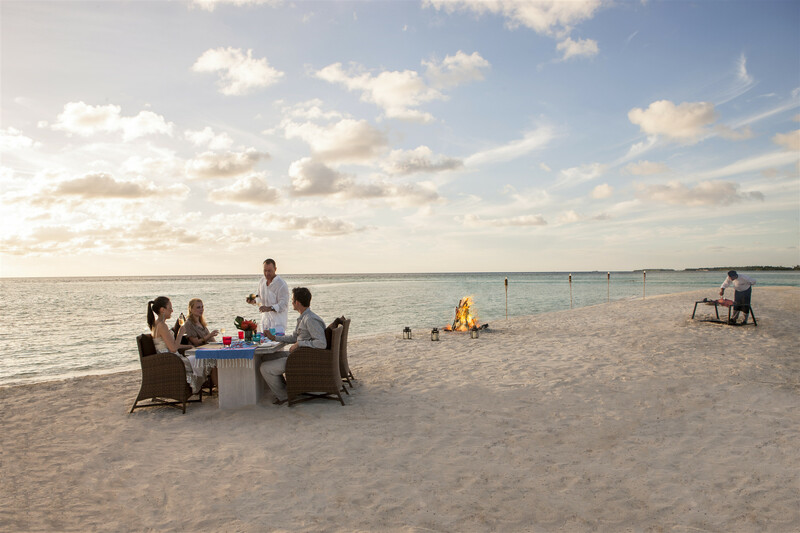 Sunset cocktails and gourmet canapes on the beach, serenaded by the whisper of the waves. 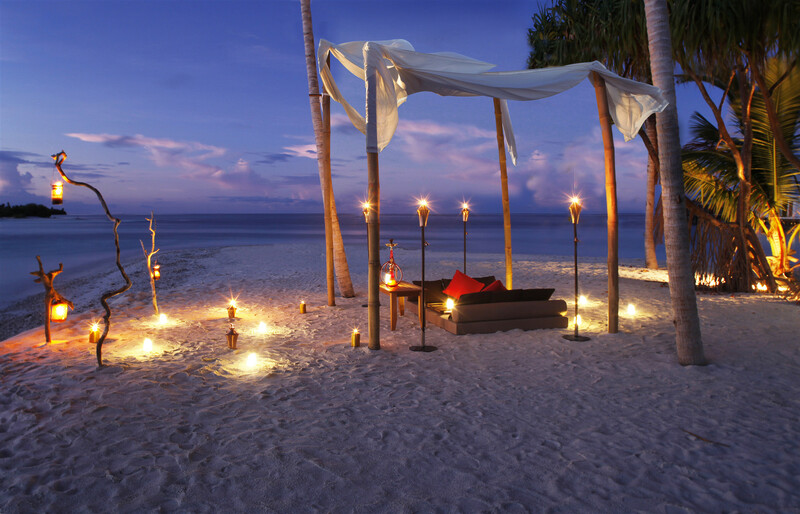 An intimate candlelit dinner for two on the private terrace of your luxury villa. 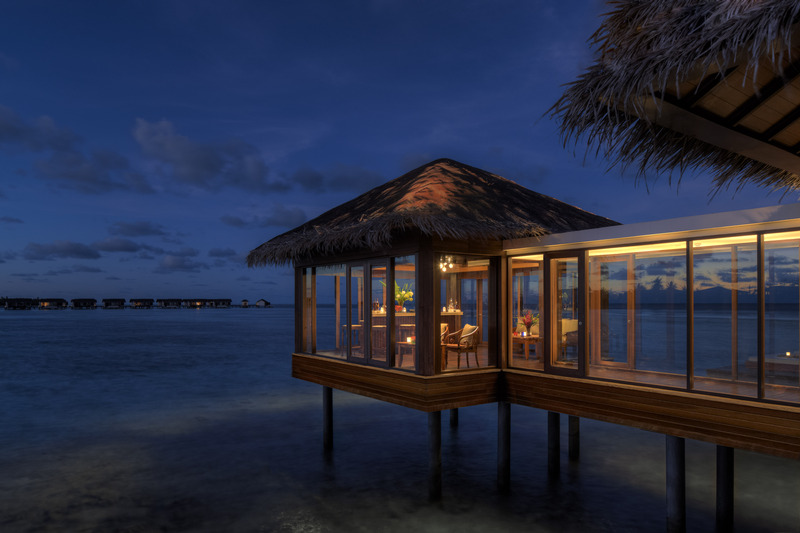 A uniquely romantic Robinson Crusoe experience, whisked away to your own private castaway island to be wined and dined beneath a brilliant canopy of stars. The options are limited only by your imagination. 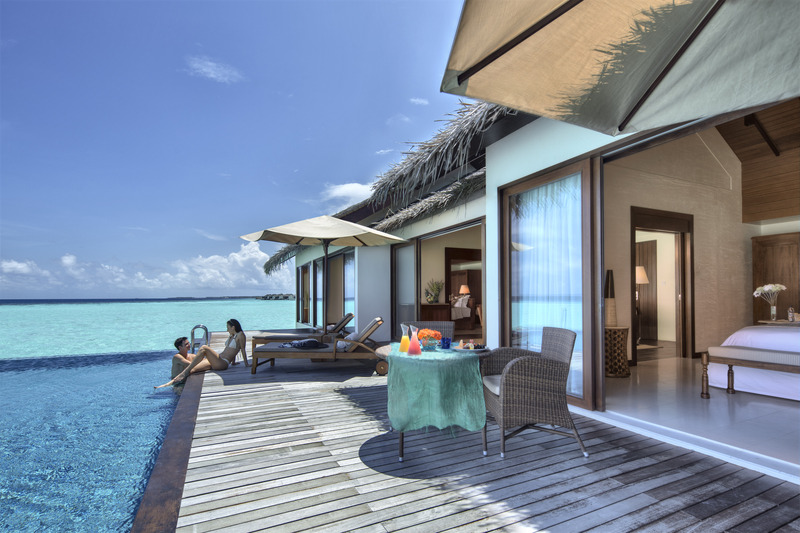 A haven of relaxation overlooking the lagoon, offering an array of indulgent spa, hair and beauty treatments. 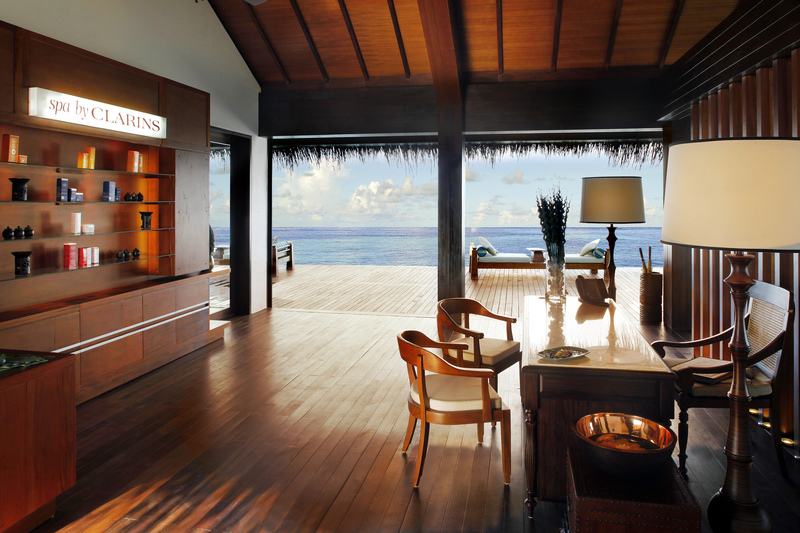 Feel tension melt and stress fall away as you step into the soothing sanctuary of the first and only Spa by Clarins in the Maldives. As an internationally renowned pioneer of natural beauty, Clarins’ spa products are made of active ingredients with plant origins. Experience unique formulas specially developed for the expert hands of our beauty therapists while revelling in new depths of indulgence. 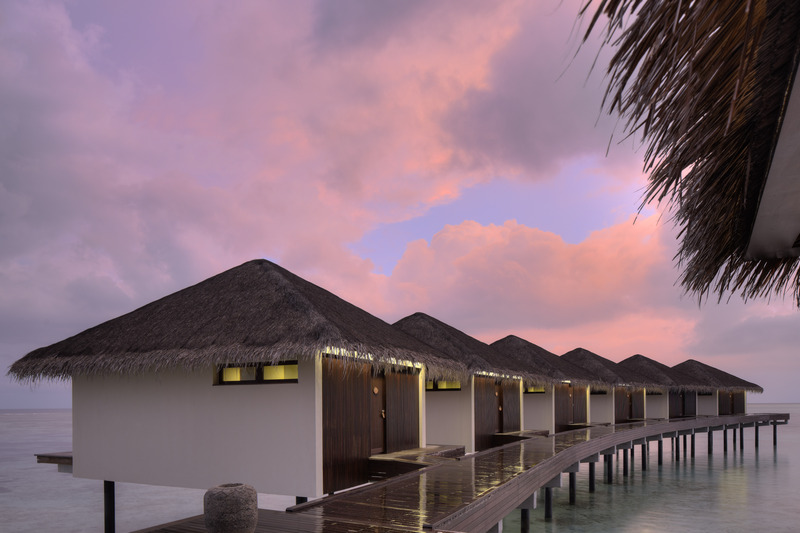 The spa sits serenely at the end of a jetty, overlooking the calm waters of the lagoon and a rainbow of coral reefs. 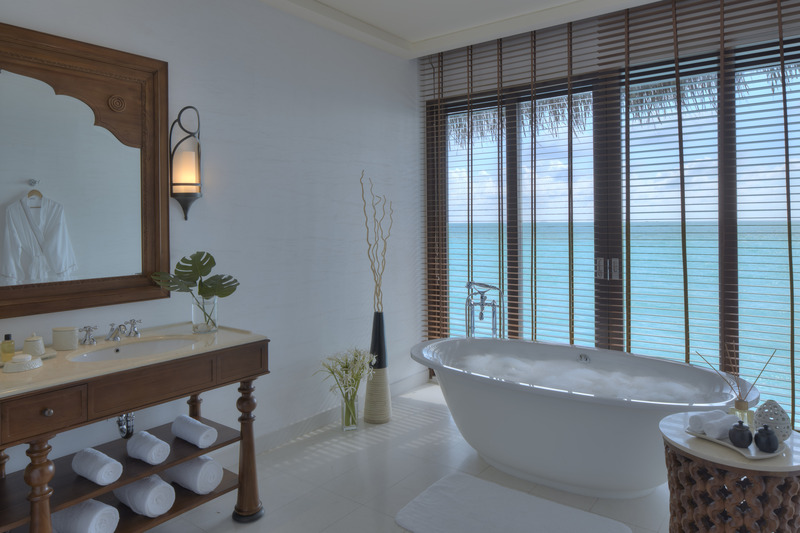 Comprising six separate pavilions and an en suite hair salon, the spa offers an array of holistic treatments, pampering massages, and hair and beauty services that will rejuvenate your body and mind. A large open deck, dedicated to meditation and yoga classes, embraces both the views and the breeze for the ultimate relaxation. 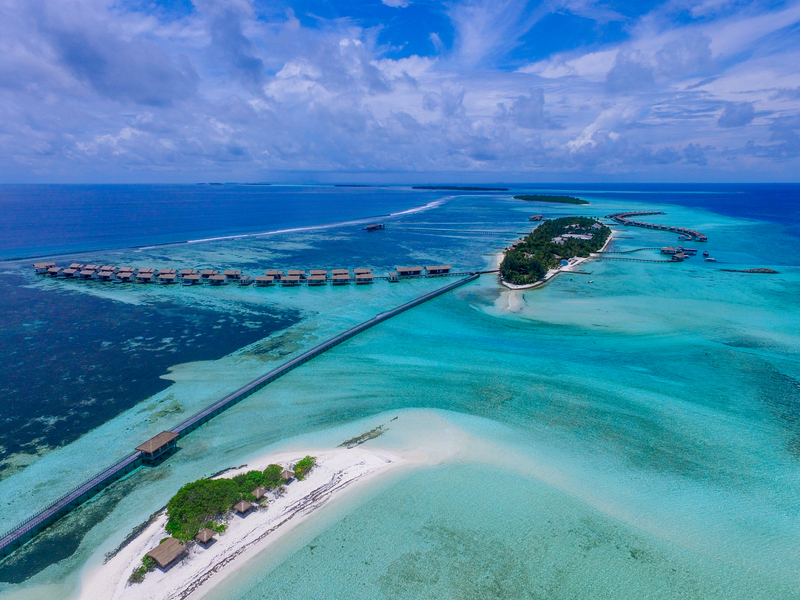 This comprehensive facility is equipped with two dhoni sailboats, air-conditioned audio-visual training rooms, hot water showers and spacious storage rooms, and is operated by a fully qualified international team of PADI instructors and divemasters. 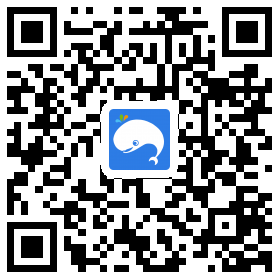 It offers guided diving and snorkelling trips, sale and rental of diving equipment and accessories, a complete PADI Instruction Programme (in different languages), and a PADI enriched nitrox diver course. 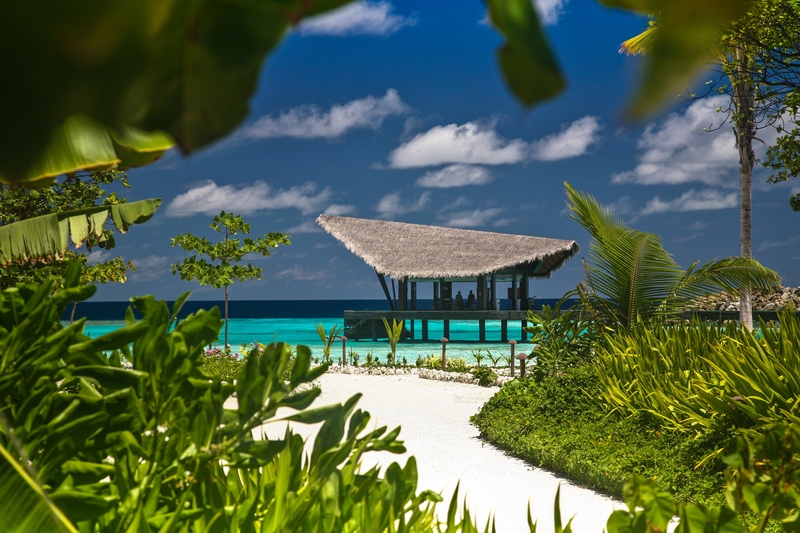 A private beach to bask in the sun. 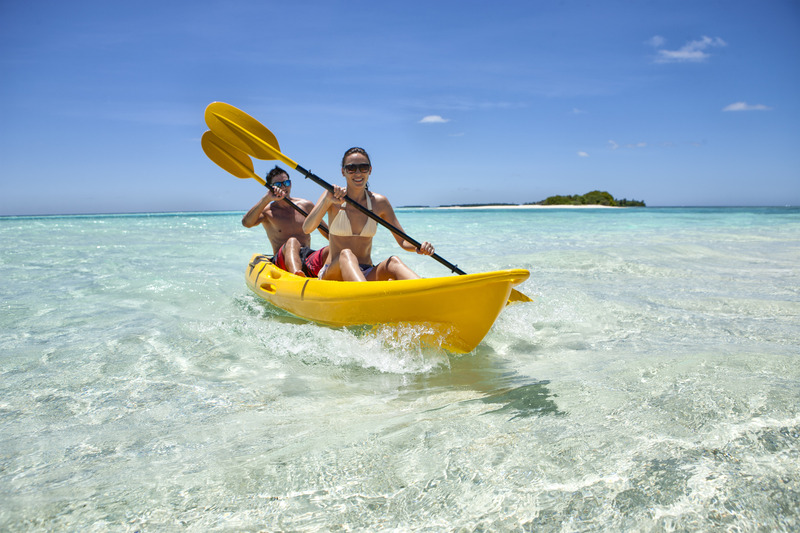 Discover our castaway picnic island - Koduhutta which is only accessible by a Dhingi or kayak just two minutes away. 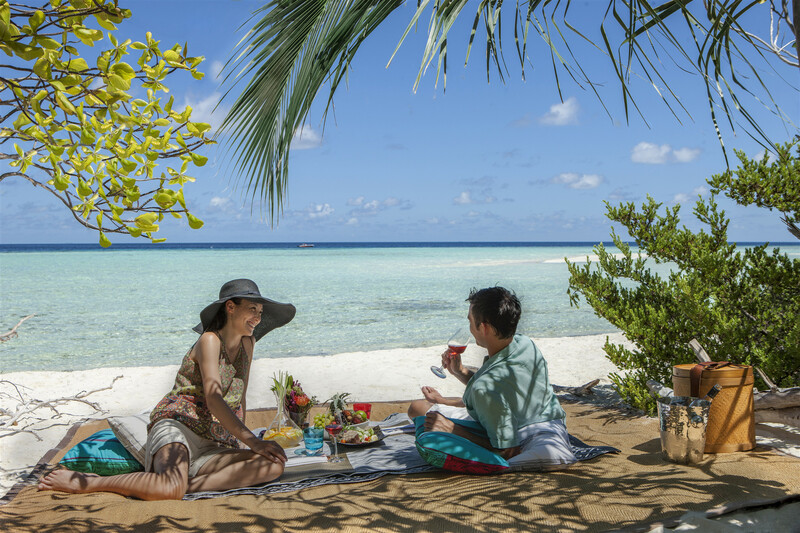 Picnic Lunch and Private Dining Experience can be arranged at a fee. * Non-motorized watersports are complimentary. * Lessons for beginners and Motorized Activities are available at a fee. 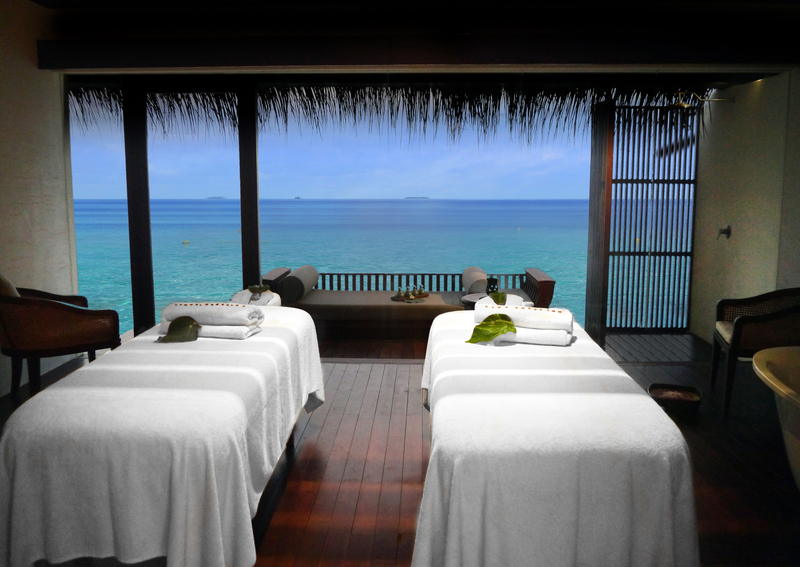 15% discount at The Spa by Clarins. 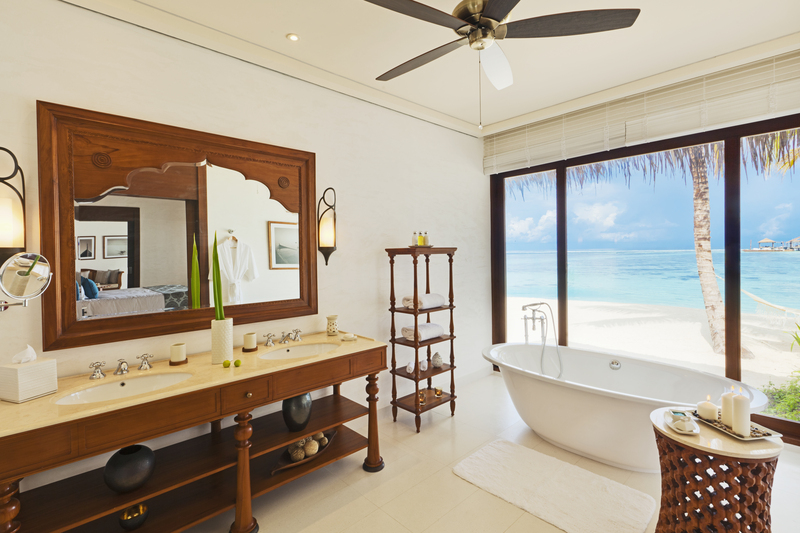 Romantic bed decoration and in-villa bath set up (once during the stay). 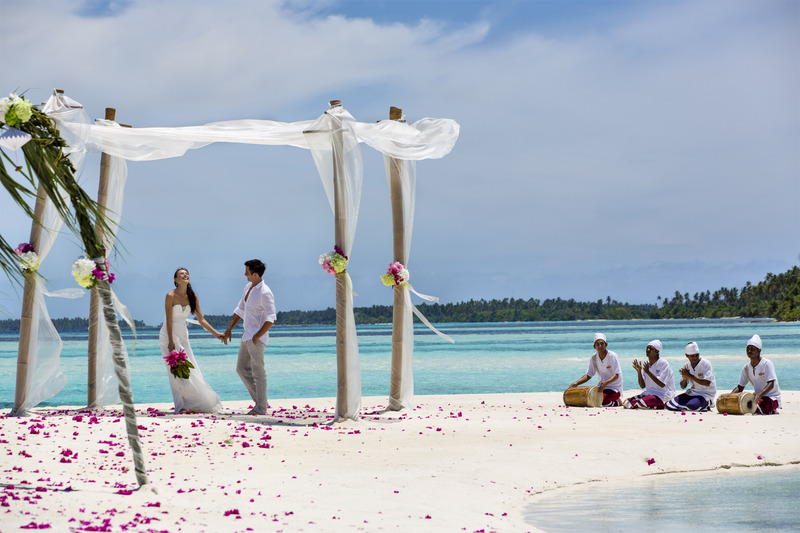 * Valid for guests travelling within 6 months from the date of the wedding. 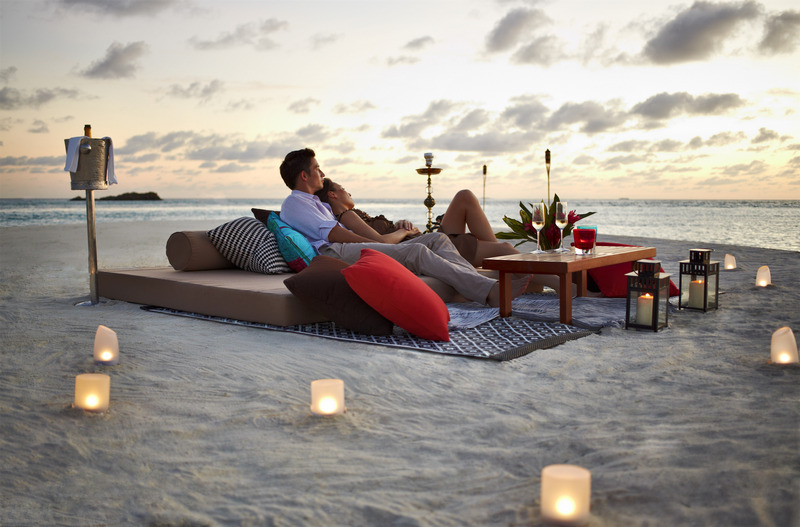 The resort has the right to request proof of marriage on arrival. 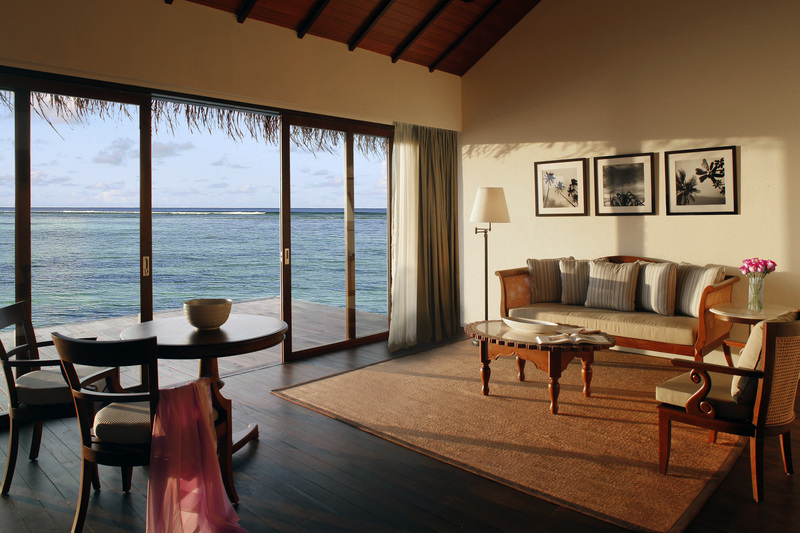 * Valid for guests celebrating anniversaries, and travelling within the same month of the wedding date. * Guest must provide proof of marriage cert to staff upon reservation. Check-In Time is at 2 pm and Check-Out Time is at 12 pm. 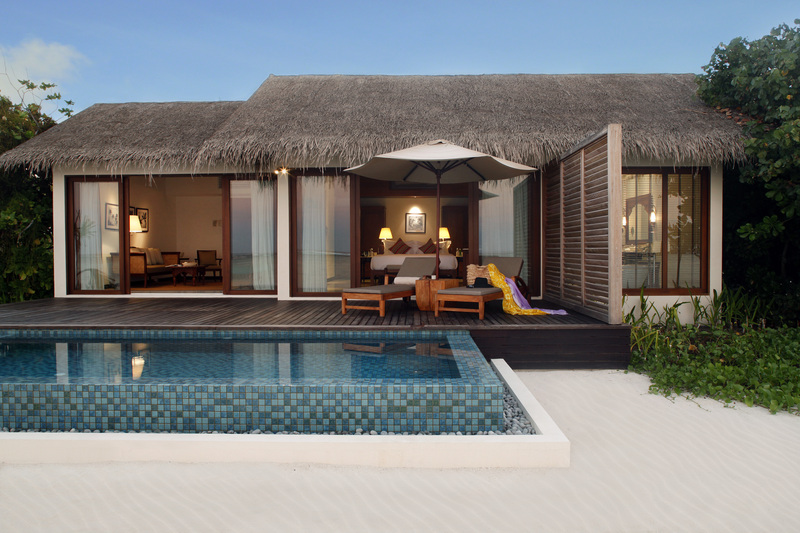 Both villas come with King Sized Beds and Sea Views. 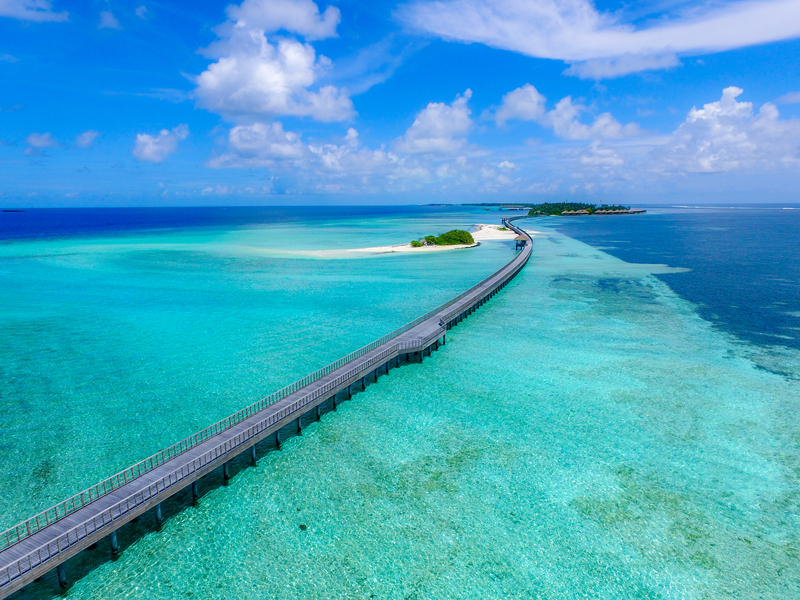 You will need to take a domestic flight from Male Airport for about 55 minutes and also take a 7-minute speedboat ride to reach the resort. 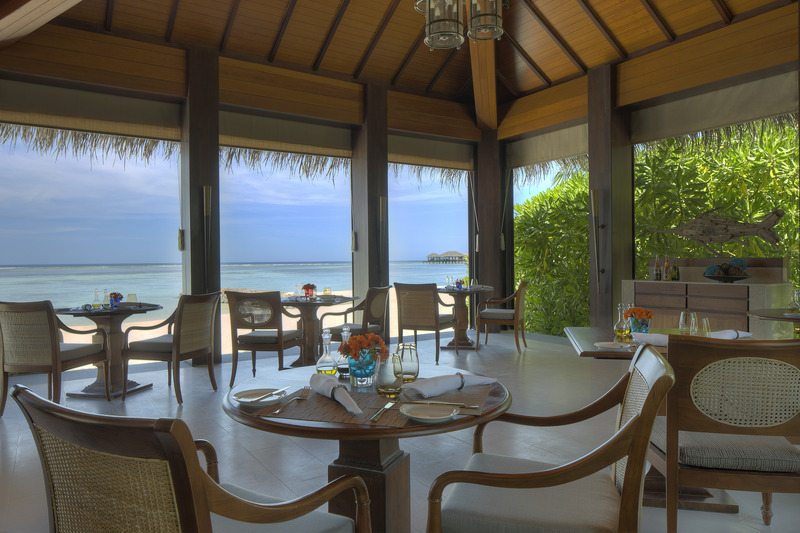 * Lunch: Available at The Dining Room and The Beach Bar, inclusive of food only. The food served here will be a mix of International and Western Cuisine. You can request for Vegetarian food upon reservation. 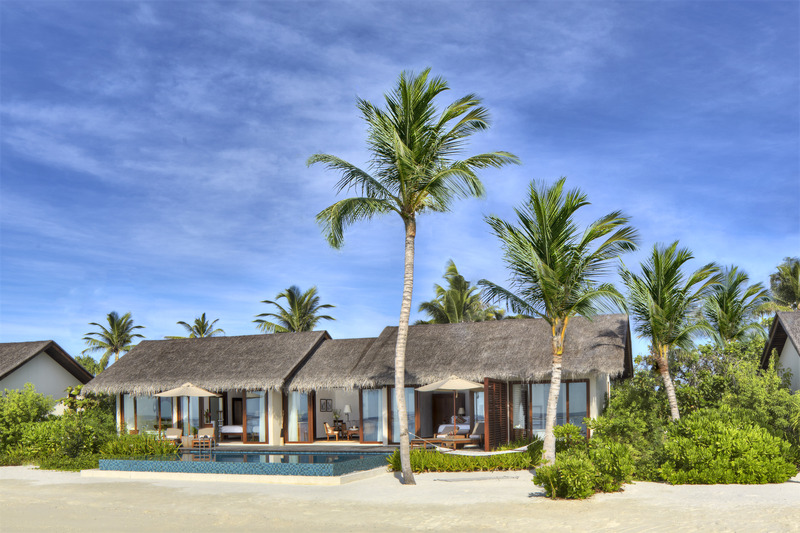 Guest will have a USD73/person credit if they dine at The Falhumaa. 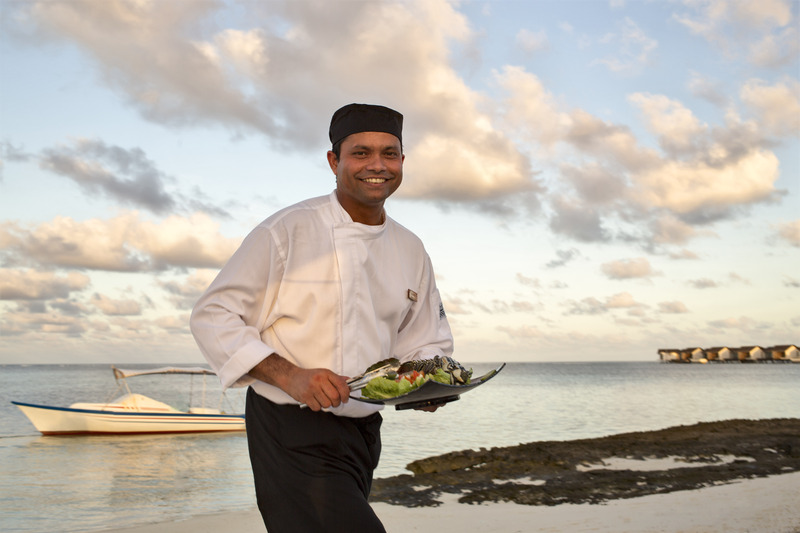 Private BBQ would cost USD180/person (3-course meal) and there will be a chef to help you with the cooking. The resort has a house reef (15 mins). 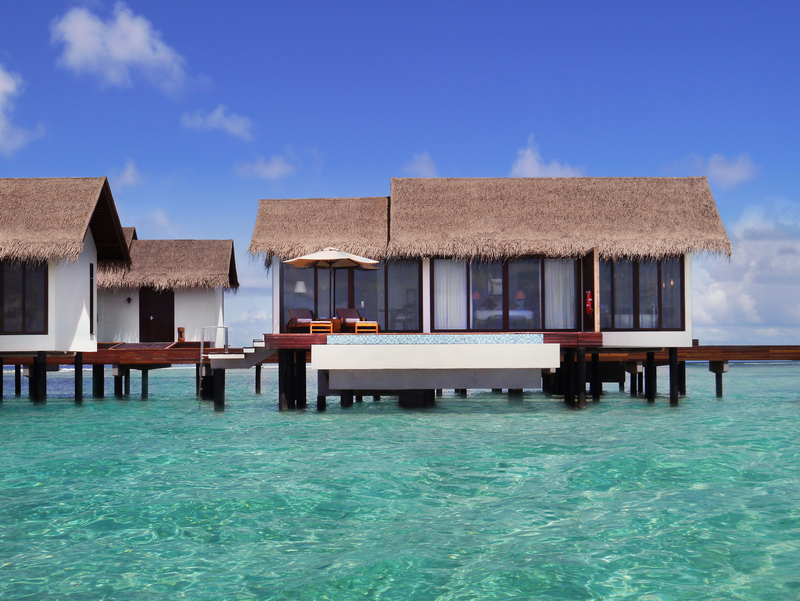 All villas come with a complimentary life jacket, snorkelling mask and fins. Snorkelling from the villa to the reef is free, but if you want a guide then there is an additional charge that is to be paid at the resort. All villa come with sofas. 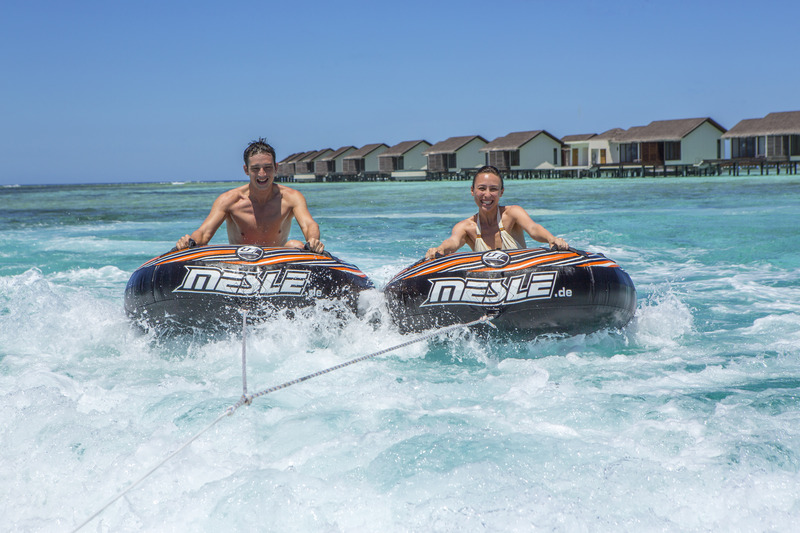 There is no rental for floats but you can choose to bring your own float and head to the dive centre to pump (free-of-charge). The resort has a Kids Club and it is free of charge (10am-5pm) for 3-12 yo. 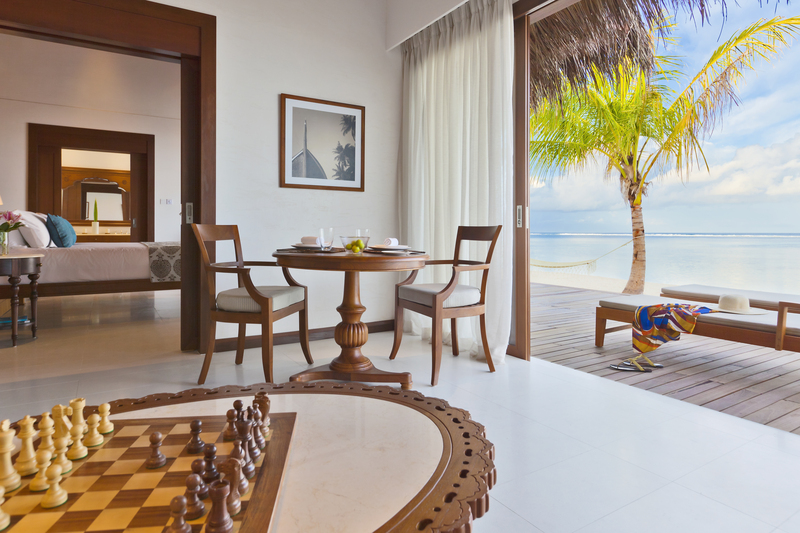 As for Babysitting, it would cost USD25 per child per hour (to be paid at the resort). If your birthday falls on the same month of your visit, then a free birthday cake will be provided upon request. 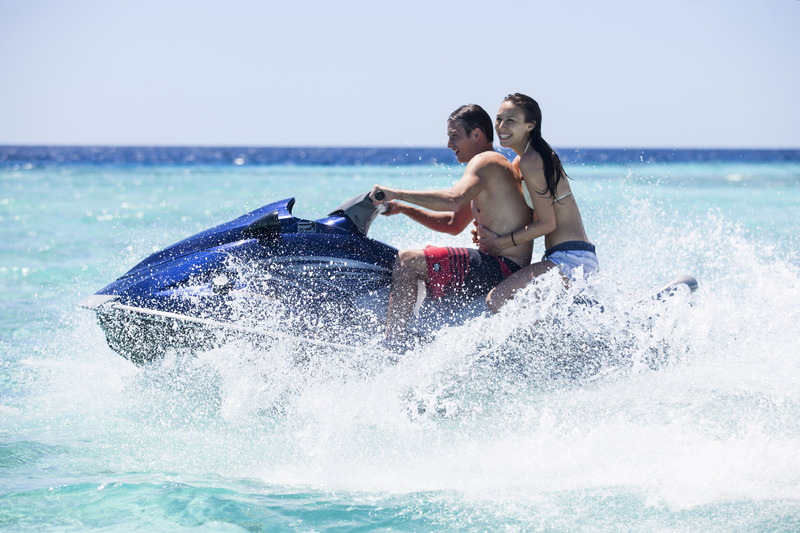 Activities available at an additional cost include: Catamaran Hire, Scuba-Diving, Water-Skiing, Knee-Boarding, Tubing, Jet-Skis and Excursions such as Dolphin and Sunset cruise, Deep-Sea Fishing and trips to other islands and local villages. 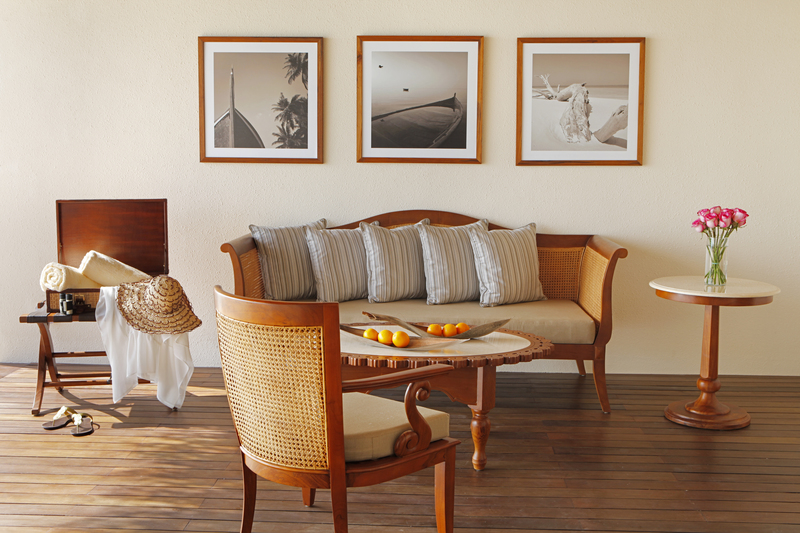 All one bedroom villas can only add up to a maximum of 1 Rollaway Bed. 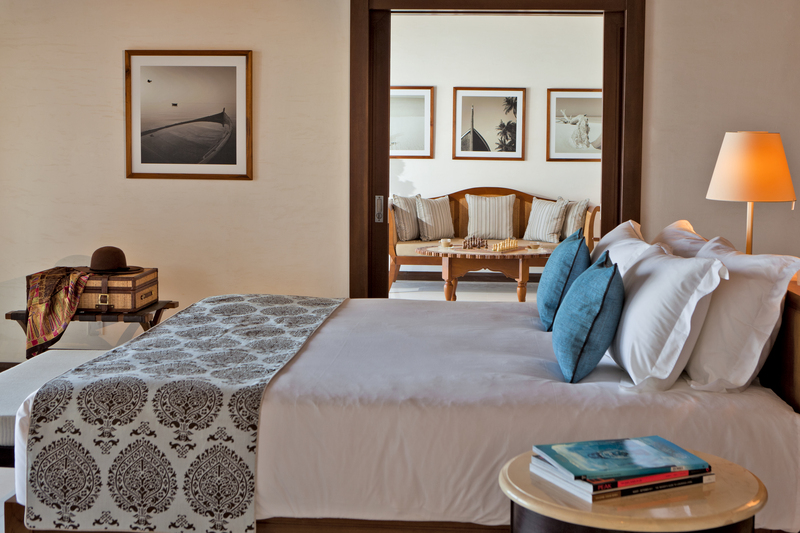 Two bedroom villas can only add up to a maximum of 2 Rollaway Beds. 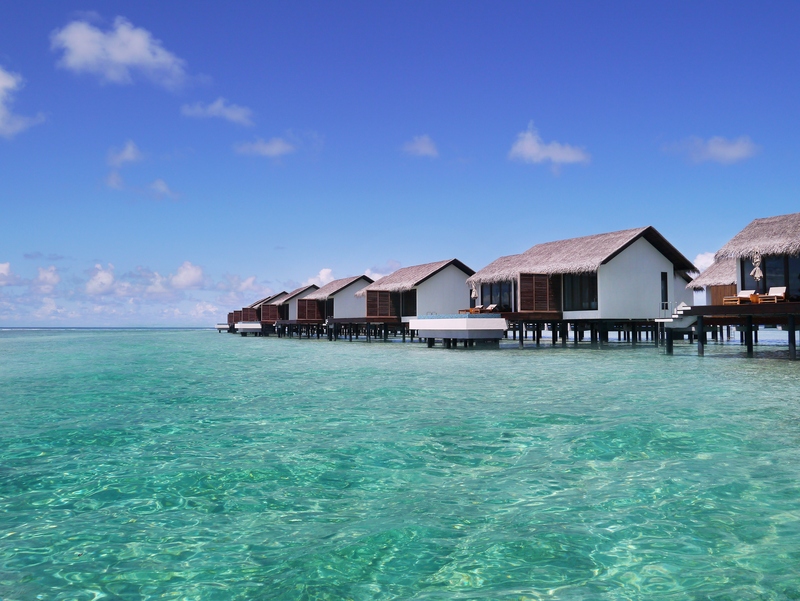 Water Villas are above water while Water Pool Villas are above water and they come with a Private Pool. This deal is only applicable to the Asian market except for Japan & Korea. 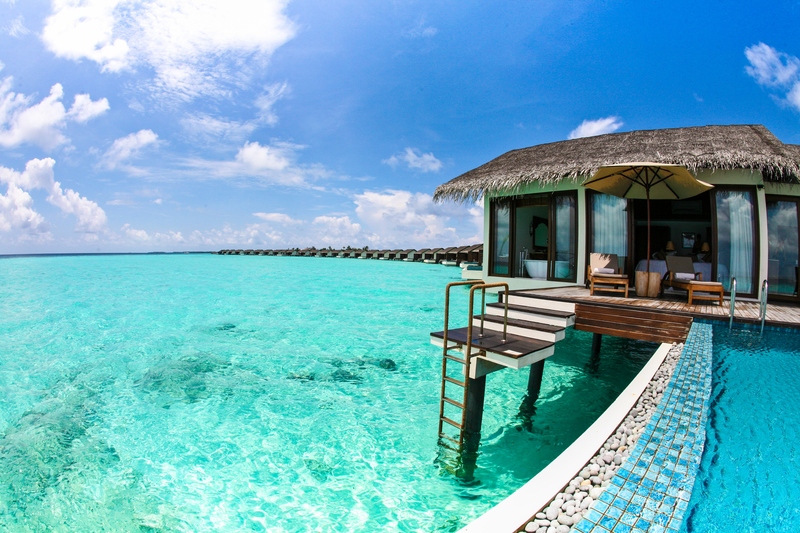 Where is your next vacation? 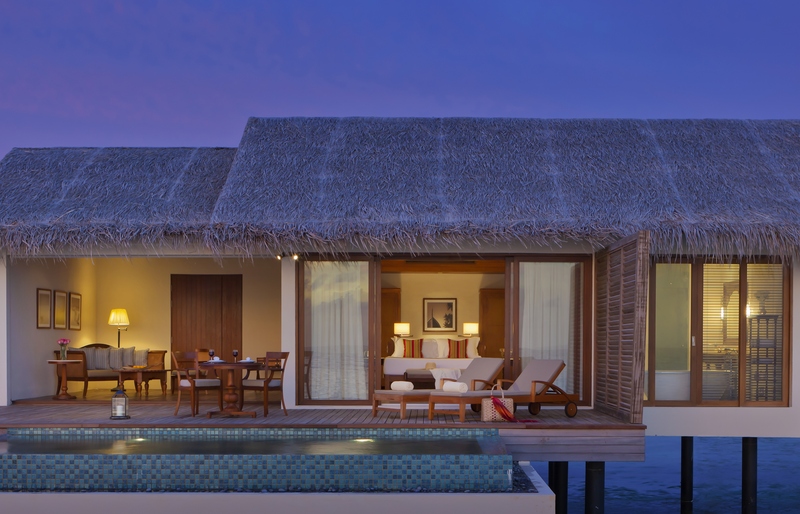 The Residence Maldives, of course!